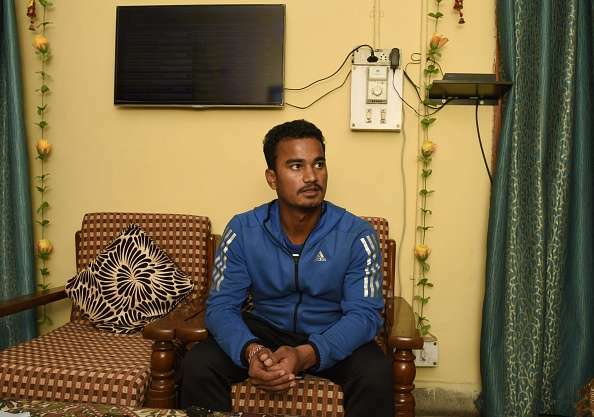 Pawan Negi will have to go through trials in Delhi University after submitting incorrect documents while applying for direct admission. According to reports, he submitted a certificate that confirms he played for the Vijay Hazare Trophy to get admission through the sports quota. However, the fundamental criteria for the applicants require them to submit a document which validates that they have represented India at an International level in a sport. Negi, who has represented India at international level, did not submit the related documents and thus was denied a direct admission. The director of DU Sports Council, Anil Kumar Kalkal stated that Pawan's documents were incorrect as per the guidelines. “He uploaded a certificate that says he participated in the Vijay Hazare Trophy, which is a national level tournament. We are bound by guidelines and particular about document requirements. So he will have to participate in the trials,” said Kalkal explaining the situation. The Delhi University has a 5% reservation for students who apply via the sports quota. These applicants can be eligible for selection only if they have represented India at International level in any sport. They also need to submit documents which confirm the same. Among 13,000 students who applied for admission through the sports quota, only ten applicants were granted direct admission. A handful of athletes got directly admitted to the University via the same procedure. These include parathlete Rinku, shooters Asees Chhina, Diwakar Yadav, Fateh Singh Dhillon, Simran Preet Kaur alongside double trap shooter Bhowneesh Mendiratta, shotgun shooter Manavaditya Singh Rathore, trap shooters Lakshay and Vidhi Jain and Shivani Kataria. Pawan Negi has played in several domestic tournaments including Ranji Trophy and Indian Premier League. However, these do not meet the required norms for an admission through the sports quota. The Delhi University follows strict codes of verification with relation to the documents that are submitted to the institution. One of those careful scrutinies landed Negi in the trouble. Negi, who has featured for India in one T20 match, will now be required to clear an exam for his admission. The safest option is to assume the entire act as a result of confusion and see how things pan out before passing judgements on the player.